My 8th Street Studio and its day to day, or maybe it will be week to week digression on my studio issues, art thoughts, and the duality experience between conceptual/rational and nonconceptual/intuitive. Grid and ground contained all within. - The Metropolitan Transportation Commission and Bay Area Toll Authority MTC. I am quite thrilled with this new connection to the Bay Area! The work is a diptych, 48" x 120" wide, oil on canvas titled "The Sight of Sandhill Cranes", oil on canvas. This painting holds its roots to when I visited the wetlands near Los Banos, California and experienced the amazing activities of the migrating sandhill cranes. I am working in a temporary space as I lost my studio I had been in for 15 years due to rent increases (in SF - almost triple). 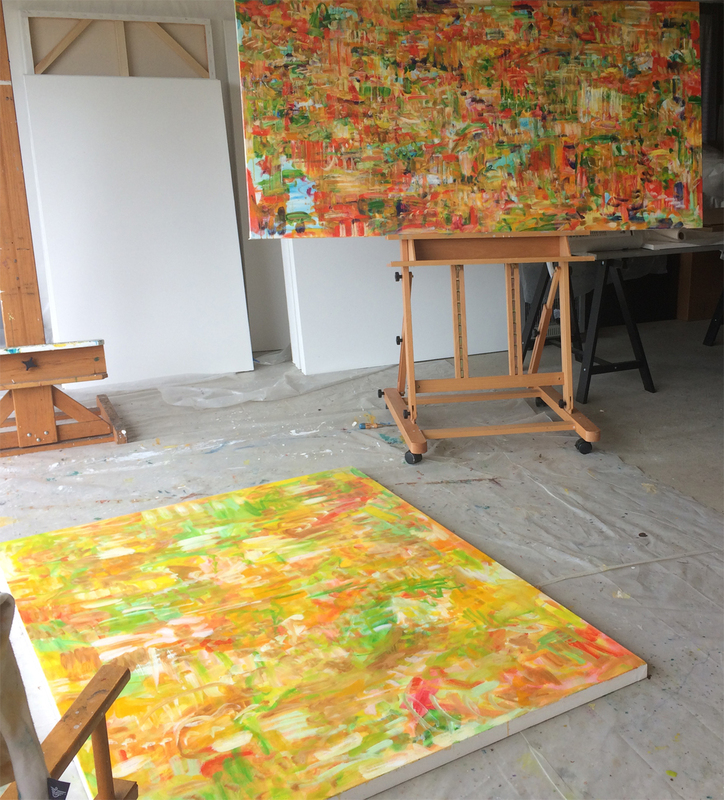 Here is an image of two works currently in process. takes me about a day to get used to it. 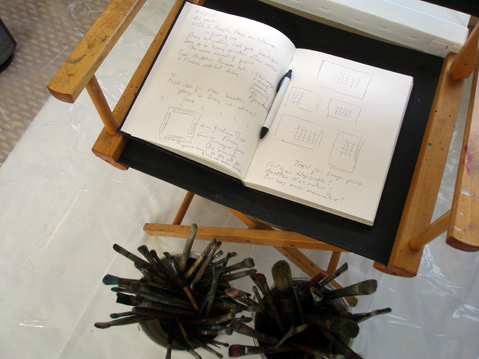 But once there, and once focused, the quietness of the space begins to inform my work. To begin again - greetings, 2016! My inventory process from 2013 ran amuck and this is where I left off. Currently I am working on developing photography skills - second class. Here are a few photographs from the last class. Look back here soon to see if I can keep this up. The inventory project taking longer than I thought - labeling each work as I go and covering gently in plastic. I have the remaining 7' x 7' works to go plus the black and white works on paper. Then I'll need to photograph the smaller works which I do not keep at the studio. The opening last Thursday evening went fine; it is nice to have my work up and out of the studio.